Age Friendly Limerick, which is co-ordinated by Limerick City and County Council, in partnership with Cliffrun Media, are delivering the project aimed at reducing levels of social isolation among older people, through the use of the Acorn Tablet. The Acorn is a specialised tablet, tailored to address the needs of seniors in a closed secure network. It opens up a world of relevant online content for seniors, encouraging users to engage and interact at both social and commercial level. Its design is built around five content and application pillars: Independence, Health, Finance, Communications and Security. A user can start with only one or two apps loaded and over time, additional elements can be added according to the users individual preferences. The idea is that by becoming connected to what’s going on in their area, older people will venture out, for example, to a meeting in the local community centre, or they can ask for a lift to a hospital/ doctor’s appointment, do their online banking, or pay a bill. They will also be able to Skype their children living abroad who have the Acorn Companion App downloaded to their smart phone. 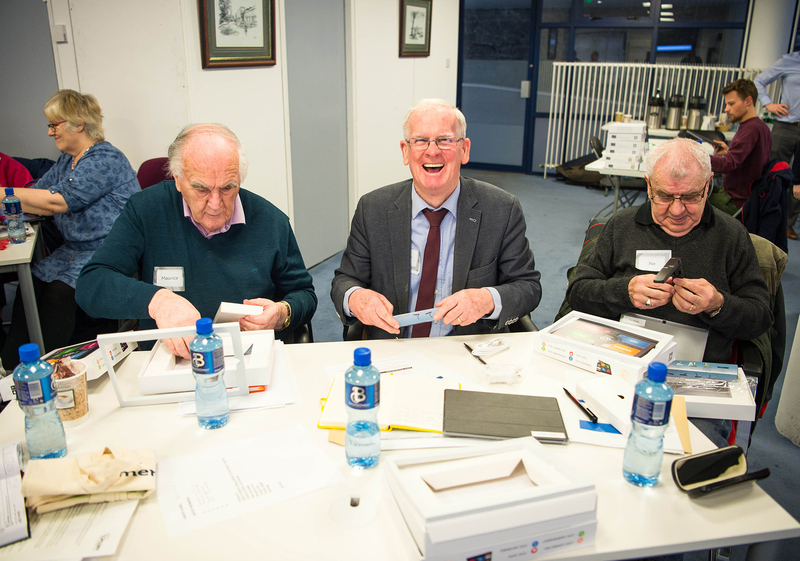 A workshop has been hosted by Limerick City and County Council at which the 30 older people from across the county have been provided with their tablets and given instructions on how to use it. Five intergenerational workshops will help connect old and young and provide an opportunity for the younger people to support the older people in the use of technology. The Age Friendly Limerick Alliance was established in 2013 under the chair of Conn Murray, Chief Executive of Limerick City and County Council. It’s committed to the process of developing, implementing and evaluating a strategy, to address the needs of the ageing population all across Limerick.